Portable 2" inches cube projects up to 150" inches HD screen. UO Smart Beam Laser is world's first laser portable projector with FDA approved class 1 eye-safe laser. Designed in a unique cube shape - 2 inches all around, and can project up to 150 inches screen. This is the first laser projector with automatic focusing and with laser, the image comes out more vivid and sharper than ever. Simply connect UO Smart Beam Laser with a smartphone, tablet, laptop, PC, gaming console, media player and more with wired or wireless connection. The UO Smart Beam Laser uses class 1 laser as its' source of light, therefore, it allows the projection to become completely focus-free (auto-focus)! You will never have to worry about adjusting the focus setting again and there is no limitation in distance or even during movement. The UO Smart Beam Laser uses Class 1 Eye-Safe Laser. The laser in the LCoS engine used in the projector is safe for human eyes. The laser is not the same kind that is used in electron guns that can be extremely dangerous for eyes. However, just like LED, you can look at the source of light without harm but never recommended to look directly into it for a period of time. The device supports both wired (Micro HDMI) and wireless (Screen Mirroring, Airplay) connection. It is compatible with Android Smartphones, iOS Devices, Laptop, PC, Gaming Console, Media Player & More. This product acquired class 1 in laser safety class surpassing the limit of existing technology by providing bright display with maximum 100 lumens and provides depth in picture quality with much more sharpness and superior contrast than LED light source. 2 ft. ~ 15 ft.
Every purchase comes with a 1 year warranty for our device. 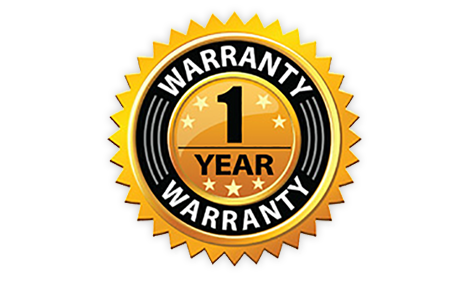 The 1 year starts from the date of purchase and is covered for every unit that were sold from our website or our authorized marketplaces. Warranty is only valid for defective units. For any returns, please see our return & refund policy here. I never really needed a projector because I have a TV but I always wanted to try one or thought it would be cool to have one. I saw an ad for this tiny projector and thought I'd just treat myself an early gift so I purchased this. At first, I was afraid that it wouldn't be what I expected and especially because of the cost but once I received it, I'm actually very impressed! This thing is so small and super easy to carry around. I have an Galaxy S8 and connecting it to the projector was the easiest thing ever (thanks to Smart View). The picture quality is great, especially at night. I usually turn it on at night and use it on my ceiling while in bed. The only thing I didn't really like about it was probably the speaker but I heard I can use an external speaker instead which is something I'm definitely going to try. Overall, great little piece of product! Very impressed!